The Local Government Unit of Jagna starting this February has revived the Wednesday hataw. This is pursuant to Proclamation No. 528, s. 1995; CSC Memorandum Circular No. 06, s. 1995; Memorandum Circular No. 08, s. 2011; Municipal Ordinance No. 19-11-2008 mandating the adoption and conduct of the Great Filipino Workout (physical fitness program). The Wednesday hataw is participated by employees of the LGU and national government agencies every Wednesday. This hataw is held at the municipal hall grounds led by the staff of the municipal health office from 3:00 to 5:00 in the afternoon. However, there is a new twist to this year’s implementation of the hataw. During the first Wednesday of each month shall be the LGUs time to clean up the municipal building and its offices. Employees are given the time to make clean ups in each of their offices that includes cleaning of the surroundings, their air condition units, rearranging of furniture and fixtures and other cleaning activities that require longer time to accomplish. 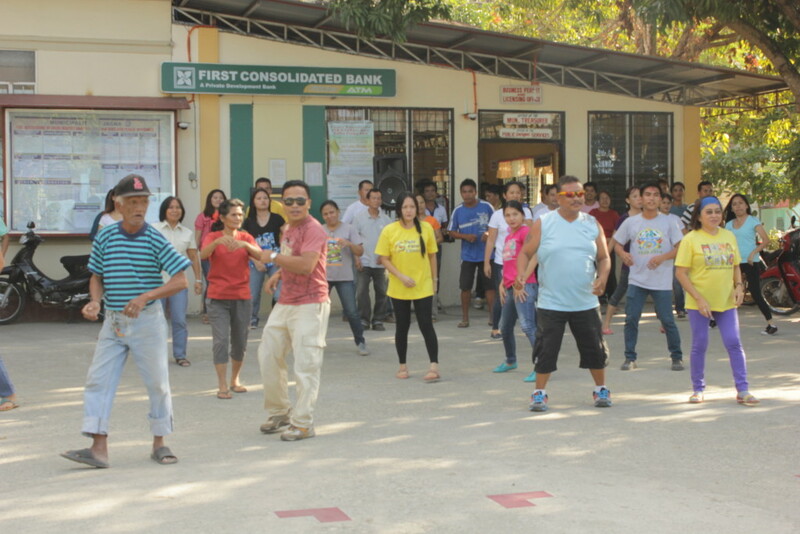 The LGU has also spearheads a hataw/zumba activity for the whole of Jagna done every Saturday morning at the Jagna Municipal Plaza.